It amazes me how far we have come to arrive in today's state of smartphones and wireless data connection. 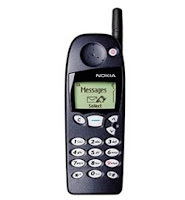 It wasn't that long ago (1999) when I got my first handset, a Nokia 5590. At the time, I had to choose carefully to find a vendor, who offered a decent "coverage map" utilizing their cutting edge Digital services across Southern California. I still remember on a few road trips visiting my parents driving across the Mohave desert, there were quite a few dead spots that would render my 5120 useless. It was still an amazing experience to be able to "phone" someone from almost anywhere at an affordable $29 monthly plan. Today, I am rocking out on full 3.5G HSDPA connection over a smartphone that is capable of playing MP3, taking 5MP imagery, capture and playback videos, with over 4GB of media storage. I have functional Maps and GPS if I am lost. I can look up movie tickets, reviews and location on the fly; even keep myself entertained just streaming YouTube over my handset over 3G Data or 802.11b/g. When someone is flying in, I can check on the flight status, weather information and send an email or text to my friends in one sitting. In the most extreme scenario, I've even attempted relying on my mobile device completely without a laptop. 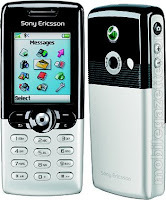 What's amazing is that the mobile experience I am enjoying today, is what I envisioned four years ago, when I picked up my BlackBerry 7100t. I am very contend with the fact that we've reached a point where our handset is finally capable of keeping up with our demands (for now). I am now dreaming up even a bigger and better mobile experience than ever. I envision to be able to rely on my mobile device alone w/o a laptop for good. When traveling for business, I hope to be able to project my presentation straight out of my mobile phone. I want to use the secondary camera over 4G Data to jump on a SVGA video conference for business or see my daughter when I back at the hotel. I hope the UI and input solution can allow me to process complex spreadsheets and review them as if I am viewing them on a 20" LCD (projection maybe?). I hope to be able to draft this lengthy blog using voice recognition technology so I can blog on a plane or in a car hands free with absolute accuracy. I am very excited to witness the break-thru in mobile. I am looking forward to the future of advanced mobile experience.